Sumitomo Tires is the premium export brand of Sumitomo Rubber Industries, Ltd. (SRI) and is one of the most successful and influential tire manufacturers in the world. 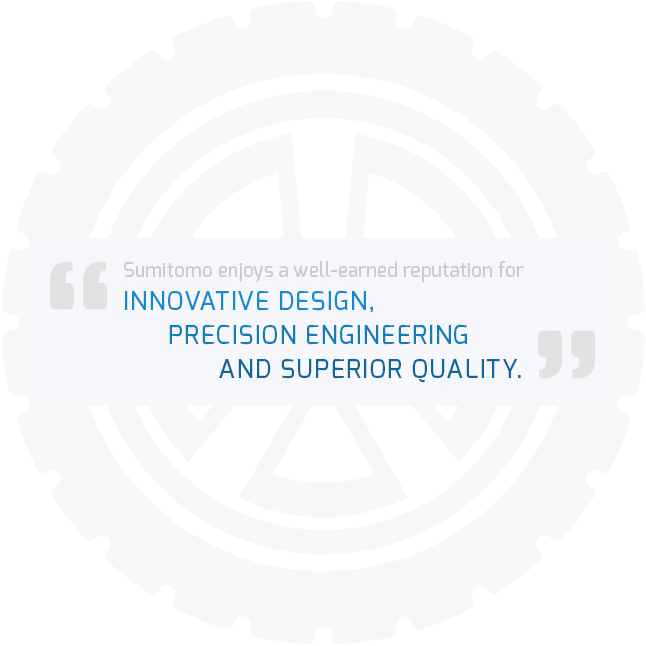 Within the tire industry, Sumitomo enjoys a well-earned reputation for innovative design, precision engineering, and superior quality. We are a global brand that competes on the basis of product value and real world performance. The principles of our founder, Masatomo Sumitomo insisted upon reliability and trust over 400 years ago and the Sumitomo business spirit continues that proud tradition. At Sumitomo Tires, we create unmatched value for our consumer by standing firmly upon traditions of the past and focusing on the possibilities of the future.